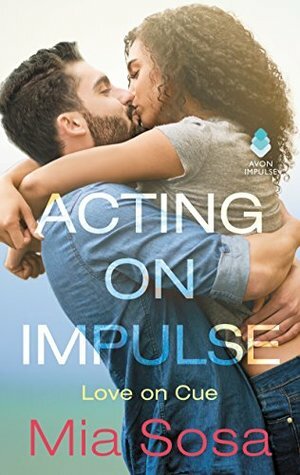 Acting on Impulse is book 1 in the Love on Cue series. This is my first Mia Sosa novel and won't be my last. 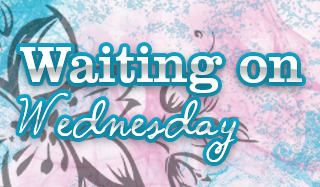 I thought she did a wonderful job and I have to say I loved that this book is a diverse contemporary romance. I'm always wanting more diverse reads and this one was a great fit. Toss in the celebrity love interest and you have my full attention. Tori Alvarez is a fitness trainer that is heading to Aruba after an embarrassing break up. Her ex decided during an interview to say he wasn't dating anyone much to Tori's surprise. Now she's determined not to date anyone in the limelight anymore. That's where Carter Stone walks in, he's a somewhat famous actor that wants Tori the second he sees her on the plane. They hit it off until his real identity is revealed and I was really wondering how they'd wind back together at that point. Carter needs to get toned and pack on some weight for a potential role and after some back and forth Tori winds up being his trainer. We see their desire to be with one another grow with each page and I couldn't wait until they broke down and finally got together. Acting on Impulse is a diverse contemporary romance that is a must buy. I loved how the author wrote Tori's character being Puerto Rican without shoving it down your throat or relying on stereotypes. The family aspect was done quite well too, I felt Tori's family leaned towards a realistic feel when the tension between them appeared. Though my favorite bits throughout the book had to be the tension between Tori and Carter while they weren't an item. If you're looking for a steamy diverse romance make this your next read. Stories involving celebrities are good only if well developed, so I'm glad that this one worked for you! Oh I got an email about this one from the pub, way back when! I hadn't heard of Mia Sosa so I kind of glanced over the email. Oops! This sounds like a romance novel that I might enjoy. I'm so glad you liked, Melissa! I have been very curious about this author lately and I do admire a good steamy romance. I think you'd enjoy this one Renee! Ahhhh I love books that have a celebrity love interest. Those usually always turn out to be a fun read. Great review! Ethnic but not heavy on stereotypes? Okay, that has me curious. Not usually big on the millionaire or famous tropes but this one looks interesting. Brilly review. This sounds like a book I might enjoy. I do love when an author writes a diverse character, but doesn't use stereotypes or shove it down your throat. Minorities are just people after all. You don't want to "white wash" them, but also don't make me feel like you looked up every trait you could find and include them. Great review. Completely agree with you on that! !